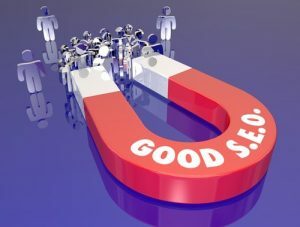 When it comes to online marketing or web marketing, there is a multitude of ways to promote your business or non-profits and SEO is one such tool. SEO stands for search engine optimisation, and the literal definition of it is that it is a set of methods that helps to optimize your website for search engines and improve search rankings. In other words, it is a marketing tool that involves major rework of a website to allow easier access for the search engine algorithms to rank your site and increase your online presence. Search engines such as Google, Yahoo, Bing, etc. help to provide the users with a list of websites that match a particular search query. In order to rank in the top for a search query that relates to your site, you need to invest in a proper SEO strategy to gain organic traffic. There are some underhanded ways to gain clicks, but they only tarnish the company’s reputation and reduce brand value. Though in the past, SEO specialists took advantage of holes in the search engine algorithm, such tactics are not applicable with the upgraded algorithms that employ machine learning. In order to truly understand the different parts of SEO, we must understand how a search engine works in classifying and ranking the websites. Though each search engine ranks the websites based on a different set of factors, the basic principle behind them remains the same. The algorithm used by search engines is a complicated mathematical equation that filters through web-content based on certain criteria. By figuring out how the search engines work, you can determine your course of action. Usually, the search engines look for keywords and phrases that they believe relates to a particular query. To find a match they perform a series of activities such as crawling, indexing, processing, checking relevancy and finally retrieving. Initially, once a search query is entered, the algorithm crawls through all the websites available on the net. These lines of code try to understand what your site is about by going through your title tags, meta descriptions, images, relevancy to the topic, in our case anything related to nonprofits. Once the data has been crawled, the search engines store this information in databases where they are compared with other relevant sites to rank them in order of relevancy. The homepage of a non-profit/church and its subsequent web pages will be categorized into a database with similar interests and tags. Understanding how the search engine compares the websites and the criteria they focus on will help you to optimize your site. Furthermore, to optimize your website you have to take the users into consideration. You must not forget your audience in your attempt to gain higher rankings. Algorithms used these days are more efficient and ruthless in removing spam content and filtering out the low-quality content sites. The final step that follows processing and relevancy calculation is the retrieval of the sites and displaying them in decreasing order of relevance to the search query. Once you have a basic knowledge of how the search engines catalog the various websites, you must figure out what the best course of action will be to improve your non-profit site’s online visibility. Before you go about stuffing your website with keywords and title tags, you must first understand what your potential volunteers or donors wish to see. Once you get a feel for who the target audience is, in our case the volunteers and donors, and how to attract them, the next step will be applying the appropriate SEO tactics to achieve organic traffic to your site. Ranking on the top page of the search results alone will not guarantee your website credibility. It is important to build customer loyalty and brand value along with your On-page and off-page SEO strategies. 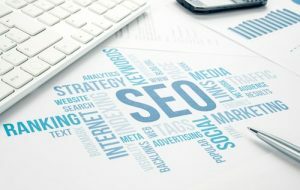 Now that you have an understanding of what SEO is and how useful it is to boost your nonprofit’s online credibility and visibility, the next order of business will be to pick an SEO strategy that will suit your business, whether it may be a non-profit or commercial, and achieve the best conversion rate possible.